This 4.7 oz. 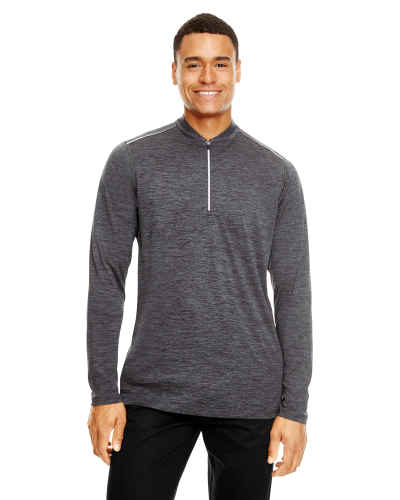 100% polyester mélange jersey knit ¼ zip pullover is moisture-wicking anti-microbial, and has UV protection. Contrasting cover stitching, translucent zipper with rubber pull and reflective details make this pullover stylish and functional. Available in mens and ladies cuts.